Hometune Mobile Mechanics are open 7am - 6pm Monday to Friday, 7am - 5pm Saturday and 8am - 5pm Sunday. Call 09 630 3000 to book. To prevent breakdowns and major repairs, you need to regularly maintain & service your vehicle. We are not just mobile mechanics we are fully qualified and experienced technicians. 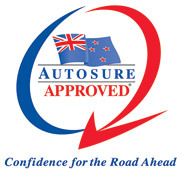 We can do comprehensive auto repairs throughout Auckland. We are MTA assured and have been in business for over 35 years. We specialise in diagnosing and solving mechanical faults. You can be confident that we are using the latest diagnostic equipment to find the issues in your vehicle. We guarantee complete and reliable service by giving you recommendations to increase the life of your vehicle. We explain the process and provide reports of all works that have been done. Aside from providing auto mechanical repairs in Penrose and throughout Auckland, we can also fix everyday problems, like batteries, starter motors, radiators, water pumps, cambelts, brakes, wheel bearings, suspension, gearboxes, transmissions, seatbelts, cv boots and joints, steering, drive belts, alternator. When you call Hometune Mobile Mechanics, provide your registration and receive an upfront price for the cambelt replacement. Hometune Mobile Mechanics are experienced in all makes and models including European. Call 09 630 3000 or book online to arrange your cambelt replacement mobile at your place.